"The Browns did an incredible job with everything! There is no possible way to explain how impressed we are with the job they did! They are the nicest people to be around and they do such a tremendous job of capturing some of the most important moments in life. We give them the highest recommendation possible!" - Daniel and Sierra Stillwater, Oklahoma. Thanks again Jackie and Warren for all the work you did this weekend for Rachel and Dustin's wedding. You really went over and above our expectations. You do great work!!! Mother of the bride - Tammy Tulsa, Oklahoma. "I would recommend Warren and Jackie to anyone. We first met in person to talk about the package that best suited my needs and budget. They were very flexible, worked with me, and never pressured me to buy anything I couldn't afford. The engagement session was awesome. I hate posing in front of cameras but they made me feel very comfortable and helped my husband and I pose and position ourselves for pictures. All of the pictures turned out great. I don't think there was a single one I didn't like! The bridal portraits went just as well. They even exceeded the original time limit because there were just too many good spots to take pictures and they didn't want to stop! So I ended up with a large amount of bridal portraits that I adore. Warren and Jackie were the best at the wedding. They were so calm and easy going that it eased my spirits as well. They got every single picture I wanted taken and more. And when the original time line had to change due to my reception venue serving food too early, they switched it up no problem. We ended up taking wedding party and bride+groom pictures after the rehearsal and Warren and Jackie just went with the flow. And when I couldn't get away soon enough due to the large amounts of people wanting to talk to my husband and me, Warren and Jackie patiently waited until we were ready to finish pictures. I think they ended up staying an extra 20-30 minutes past the agreed time just so I could get all the pictures I wanted. Have I mentioned how amazing the actual pictures look? Professional looking pictures that I can now cherish forever. The last thing I'd like to mention is their turn-around time. I had my engagement, bridal, and wedding pictures all finished and back to me within 1-4 days of the shoot. Being an impatient person, this meant a lot to me! Love Brown's Photography and hope to get to work with them again some day!" "Would I recommend Warren and Jackie as wedding photographers? Without a doubt! From our engagement photos to my bridal pictures and lastly our wedding photos that captured how special each event was to us without losing “us”. Everyone has raved on how amazing the pictures from each session have turned out and we couldn’t be happier. Their quick turn around time only makes it that much better! By no means were we an easy group to photograph; we included my husband’s 4-year-old son, my Australian Shepherd, and then my two horses! Everyone managed to turn out great! "We love our wedding photos! They look great." Toby and Sheena, Tulsa, Oklahoma. "We just love our wedding photos. We can't stop looking at them over and over. They are amazing." Clint and Lesley, Moore, Oklahoma - Married in Eureka Springs Arkansas. 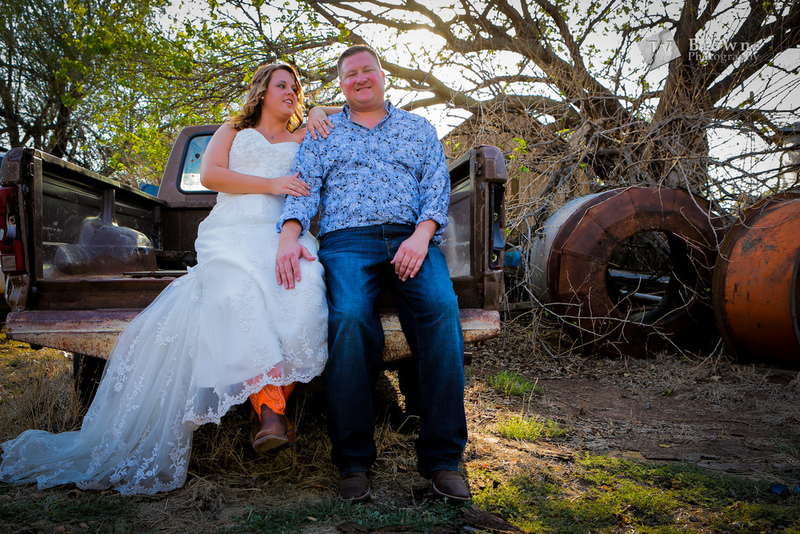 "Warren and Jackie were VERY accommodating to us, they worked with our crazy schedules to meet with us, traveled to our wedding, and for our bride and groom pictures, with out a second thought. They truly care what is going on in your life! My favorite thing is the way they capture not only small details and make it very personal but also the amazing way they incorporate your surroundings, making beautiful pictures. We LOVE our pictures!" 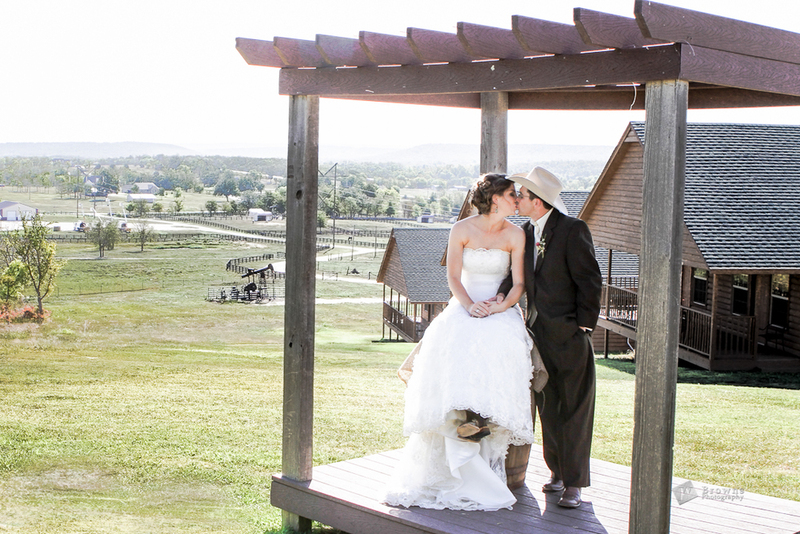 "We feel very fortunate to have found Warren and Jackie to be our wedding photographers. They are unbelievably quick to respond to questions and emails, as well as to return photos. We had engagement, bridal, and wedding photos each back to us within three or four days after they were taken. Their quick turnaround time went a long way with me. It's also quite evident that they are skilled photographers and know what they're doing. I felt confident in their abilities, and our photos are proof. We couldn't be happier with the photos!" “I thought my search for decent wedding photographers was over until I came across Brown's Photography and just became overjoyed with what I saw. 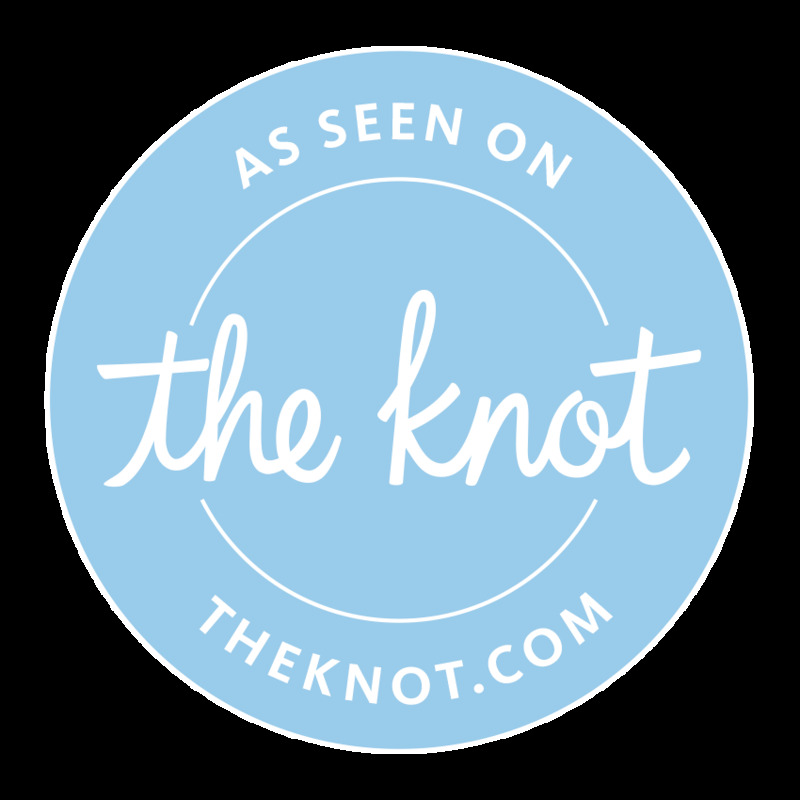 When I reached out to them for pricing and a consultation they were very quick to respond and scheduled around my work schedule and my husband's to meet with us (they even drove in from a different city for each part of my experience at no additional fee!). Upon consulting with them and meeting them, I knew they were the right company to handle our wedding pictures. We signed up for a package deal that included our engagement session, wedding photos, and bridal portraits and they have exceeded everything I could hope for with them. They let us pick our engagement session place and showed up early to walk around and pick out a few spots and poses before our session was to begin. They took time to get to know us, which added to additional photo poses they thought would suit us. They didn't rush us on time and snapped TONS of amazing pictures! It was hard to select just a handful to display at our wedding. For our wedding, they showed up early, were ready to go and were great to work with there as well. 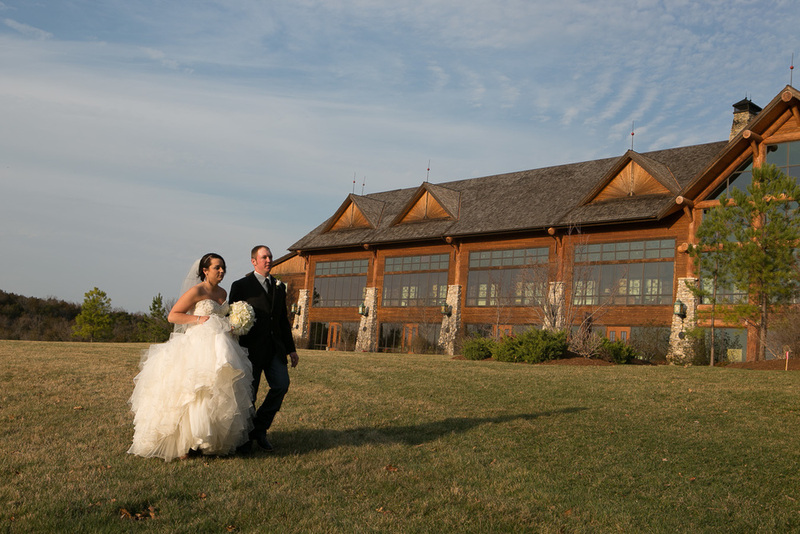 They captured every moment and were flexible around any rescheduling or last minute changes. We received our wedding photos through their website within days of our wedding. While on our honeymoon, it was fun to sit down and go through the pictures and see everything. There was not one picture I was unhappy with. Everything was clean, no blurring, crystal clear, and perfect. 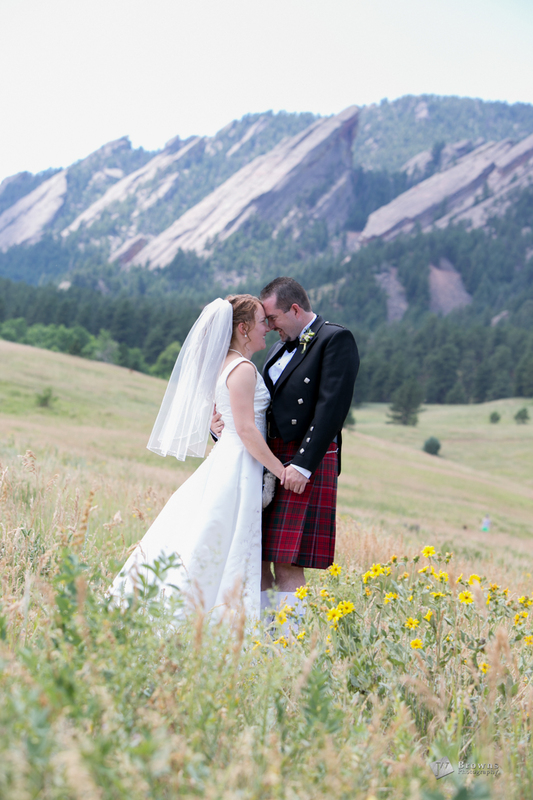 "Warren and Jackie came to Colorado for my wedding and did an amazing job. 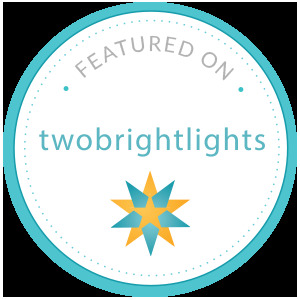 My husband and I met with them twice by Skype and knew they were a good fit - so personable, clearly very professional and experienced, and asked all the right questions. They were very organized, extremely fair in their pricing and generous in their time on the day-of, and completely discreet during the festivities while still capturing the big moments! It was easy to just trust them to take care of everything without needing much guidance from us, as we were wanting to just enjoy the day.